Many people think that doing research in the medical field is about constantly gaining more knowledge, keeping up with advances and new findings in the field, and coming up with the meaningful unanswered questions. Research is also known to involve continuously doing experiments, analyzing and gathering data. From my personal perspective, I have discovered that research is a great learning environment. In order to contribute to any research project, the learning process never stops. The deeper your understanding is, the better your hypothesis will be. You are constantly learning while doing experiments and looking at your data. The hands-on experience is a crucial part to help me understand the projects. In the Lichtman lab, people learn from each other on a daily basis: when the principal investigator and the postdoctoral researcher teach students new techniques or when students discuss underlying concepts with one another. It takes kindness to spare time to help other people learn. It takes cooperation and effort for everyone to be involved. Most importantly, it takes passion to keep all of this going. The World of Work is not like university life. At school, students are taught by lecturers, assigned homework, get checked on for completion of homework, and get tested during exams to be evaluated. In the World of Work, how much you can learn and how much you can achieve entirely depends on you. There isn’t any limit about what you have to learn. There aren’t any criteria for you to be evaluated upon. People will not tell you what you should be doing, and they will not keep track of your work. However, they will evaluate your performance. They will want to know whether you can set up and carry out experiments independently, whether you can generate accurate data, and whether you can effectively analyze data. Furthermore, your performance is not the only thing that will be taken into consideration. It is also very important to maintain a good relationship with other people in your workplace and to be helpful to team members. The most important skill that I have learned this summer is how to do research. I have learned how to come up with a question and how to set up the experiments and different techniques that can be used to do research. This will help me in the future whether I take lab courses at Brandeis or I do research as part of my career in the medical field. Besides my passion in patient care, I really appreciate the enormous impact of research in medicine. It may take a lifetime effort of scientists to do research, but the impact could be life-changing for improving patient treatment and health care services for all people. The World of Work has also taught me a lot about what I should do in order to be a worthwhile person and valuable team member. It’s all about having the passion and the resilience to pursue your passion. This summer, I have the opportunity to work in Dr. Lichtman’s Immunology and Cardiovascular research laboratory of the Brigham and Women’s Hospital Department of Pathology. I have never worked in a lab before. In my mind, I thought working in a lab would be similar to my experience in college’s lab courses. However, the first day I came to the lab, I was amazed by how basic science research can potentially lead to huge development in the medical field in terms of diagnosis and treatments for patients. As the post-doc, Eva, I work with briefly explained to me the projects that were going on in the lab, I realized that I needed to read and self-study much more so as to be able to understand the research and ultimately to be a part of it. My impression about the lab during the first week is that doing research is challenging, but at the same time very intriguing and that I would be able to learn so much from not only my supervisor but also from other talented people in the team. The picture above is me (right) and one of my coworkers who is actually a Brandeis alumni (left). Regarding academic goals, I want to establish a solid background in basic immune system functions, and how such immune responses can cause diseases. In preparation, I have discussed the basic science underlying this project with Dr. Lichtman and spend a portion of my free time on the weekends reading and taking notes from the textbook he published and recommended to me. I was surprised to learn that the book is also used as a learning tool in many medical schools! Furthermore, I also aim to master the molecular techniques used in the lab and in day to day research, such as immunohistochemistry and tissue slicing on the Cryostat. This will allow me to not only make progress in my project but to effectively assist other team members in their research by generating accurate data. Thus, I will learn how to use empirical scientific research in order to contribute to the medical field by learning from the PI and other team members. Considering career goals, I plan to pursue a career in medicine that includes patient care and clinical or lab-based translational research. 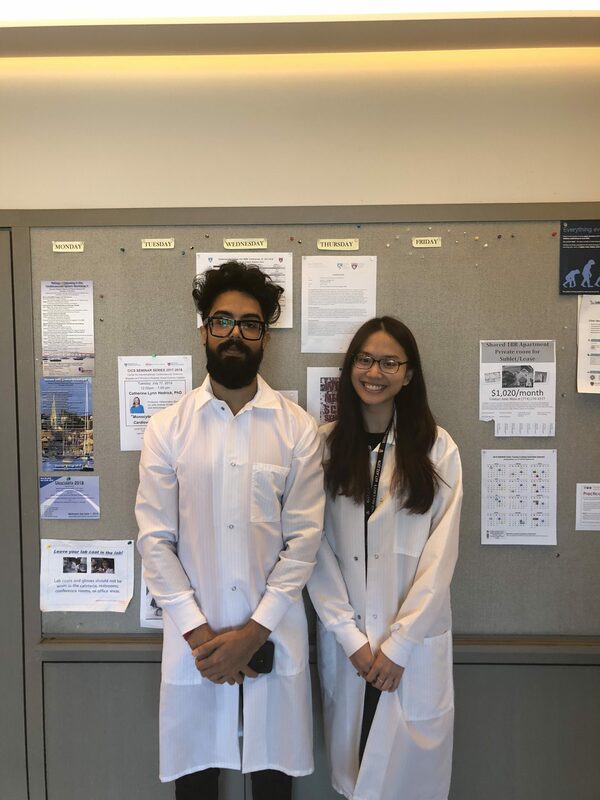 As I work in a clinic-based laboratory as a summer research internship, this experience will also allow me to explore different aspects of medicine. As I will attend department conferences and seminars throughout the course of the summer, I will be able to develop a more well-rounded understanding of medicine and the interconnection between its different aspects. I can furthermore establish a professional network at Brigham and Women’s Hospital by meeting with the professionals such as physicians, researchers and educationalists who make enormous impact on people’s lives and on the community in their everyday work. As for my personal goals, I hope this summer experience will help me to grow intellectually, think scientifically, and be able to contribute to important work relevant to human diseases. I look forward to emerging myself in the Longwood medical area – a hub of biotechnology, of research and ultimately of medicine.